When a toddler (for instance) has no capacity to understand an issue, paternalistic care is necessary. As the toddler grows, autonomy is increasingly valid, and paternalistic care should pull back; ultimately it becomes just plain wrong to keep capable people controlled. of individuals and groups: as described below, this is the definition the World Bank uses in developing nations where the citizens – as individuals and as a community – have no concept of how to run a government, build an economy, etc. to make choices: If you can’t make up your mind (or aren’t allowed to have an opinion), you’re powerless … disempowered. This includes not just individual choices but the capacity to set priorities. and outcomes: and if those actions don’t produce results, you have no power. If I do have access to information on my health status, through digital devices (e.g. if a person with diabetes has a glucose monitor, or if a heart patient has an AliveCor), we can understand how I have more capacity to act effectively: I am empowered to achieve my desire to stay out of medical trouble. Note that this definition is very different from the sloppy common use of the term, e.g. “Our employees are empowered to authorize product returns.” That only means employees have permission to do something …. all the power still lives with the person who grants that permission! To what extent has the rhetoric of empowerment in digital healthcare been diluted to the point that when we speak of “empowering users”, what we really mean is “let’s get the patient to do our job for us”? 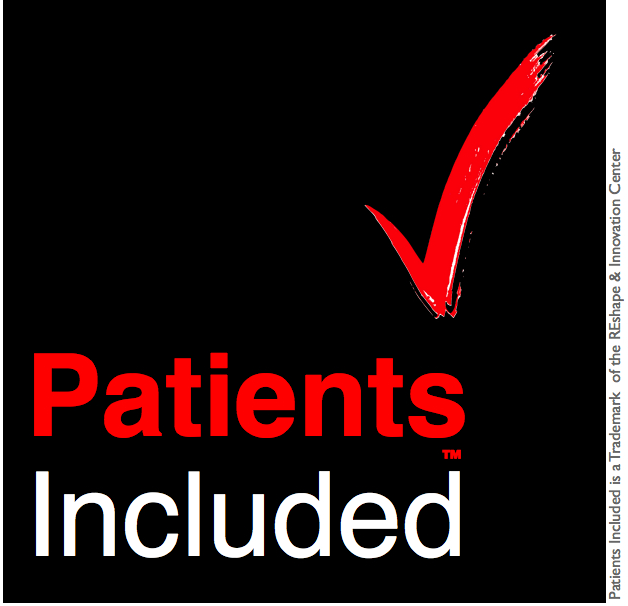 Patient empowerment is about increasing patients’ capacity to produce results on what’s important to them. Who pointed out this definition? Patients. At a patient-heavy conference. I first heard this definition at the 2013 World Parkinson Congress in Montreal, which Swedish PhD candidate (and Parkinson patient) Sara Riggare talked me into attending. Boy was that worth it – as I blogged at the time, 20% of the audience was actual patients and caregivers – people who truly have “skin in the game” about whether the conference does anything useful. As I worked on my slides that morning Sara told me that this definition had been used the day before, by another patient: Fulvio Capitanio of Unidos Contra el Parkinson. of the people who have the problem. I call patients (the ones with the problem) “the ultimate stakeholder.” The idea’s not new, for heaven’s sake – consider the 2002 book from the Picker Institute, Through the Patient’s Eyes. Empowerment is a universal social issue. This is precisely analogous to another movement that was all about empowerment: feminism. When women were famously kept “barefoot and pregnant in the kitchen” it was no surprise that they ended up not knowing much about business, technology, government etc, yet their oppressors misinterpreted that too-common reality, saying it was self-evident that women could not do such things. Women got empowered and became capable when the oppression stopped, education became available, etc. Of course, in some cultures the oppression continues – the point here is what it takes to empower people: before you judge people’s capacity, try giving them information and letting them gain some experience at making decisions and seeing how they work out. How do you define empowered? I am much more interested in the adjective which demonstrate an active change of state than in the verb which is essentially promoting paternalism with those holding the power authorizing other to grab some of it. I don’t see anything in their definition that says I can’t do it to or for myself, do you? I have to agree with Dave, here, Gilles. If a person’s actions have the effect of doling out permission but not ability, it’s certainly paternalism at work. But if a person’s actions have the effect of increasing independent ability in others, it is not paternalistic to teach/convey the skills or knowledge that are necessary. If a person teaches another to fish and provides that student with the necessary equipment to do so, is he/she being paternalistic? Only if in the future the student is allowed to fish only when, where and how the teacher says. If, however, the student is left to catch their own fish in the future, as suits their needs and desires,…then that is empowerment. Without word smithing I agree with Gilles – it implies that someone else has the power – IE you don’t have any of your own yet. Like a light bulb that needs external power vs something that arises from within. The challenge for me however is it an individual change or one at the systems level that we need to see happen..
Just as an aside – hidden in much of the conversations about patient empowerment is an assumption that health care is a power based system. 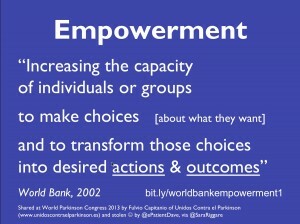 IE if only patients were more empowered X would happen.. and it often sounds like blame vs empowerment. If only you had been more empowered perhaps you wouldn’t have lost your spouse or parent or even perhaps gotten sick yourself. Sherry, I can only say that you and Gilles are waaaaaay ahead of the part of the curve I was speaking to in this post. Changing culture takes a loonnnnng time. As you know, that’s one reason I keep looking to the history of feminism for parallels and what to anticipate … most of all, keeping our eyes on the prize, and recognizing the pioneers. You end your excellent blog, Dave, with the advice that we give people information and let them gain experience using it to make decisions before we judge their capacity to have/do those two things. It reminded me of an article that I just read in some medical journal or other. It was about whether online groups provided sound and useful information for people seeking health info, or not. The conclusion was that, by and large, they do. In other words, patients and caregivers tend to provide sound and useful information for other patients and caregivers seeking help. There is one arena where “capacity” seems to be getting proven by some scientific analysis. Since the (vast?) majority of peer-reviewed articles are of doubtful value and scientific rigor I’m not sure I’d base my interpretation of the value of patient online groups on any one of them :-) But I do tend to agree that many of them are valuable and do provide sound and useful information. I’d go one step further: in many cases these groups will provide much better information to a particular patient than the non-specialized treating physician of that patient. We may not find that conclusion in JAMA yet, but I am absolutely convinced of it. BTW, I’d love to see the evaluation instrument used by the “experts” to define what is “sound and useful information” and then compare it with what the patients (the real experts in this case) think ought to be part of the evaluation. Members of these communities are often demonstrating great amounts of self-empowerment. The system and health professionals have more often than not either not done anything to help the patient take charge of their care, or worse, it has stymied the patient’s efforts to be autonomous. That is why I believe it is dangerous to mix patient empowerment and empowered patient in the same text, as if these 2 have equivalent meanings. Empowerment is something of degree–patients may be diminished in self-determination capabilities. That is, fragile elders may have physical and/or mental frailties, limiting mobility and ability to competently live on their own and make a full range of decisions. They retain the ability for diminished mobility–as opposed to no independent mobility, and diminished independence otherwise–unable to go shopping, perhaps unable to read menus, use a telephone on their own, type on a keyboard, perhaps they’re blind or deaf…. loss or deterioration of -some – faculties, leading to a greater level of dependency. But that doesn;t mean that they’re completely unable to make competent decisions about some or all of their options, it means that there are restrictions, to some degree or other, on their ability to competently act on their own and function independently. I’m blathering on about this, because their level of “empowerment” has practical constraints. Within the constraint limits they can be “empowered” to act of their choosing, but outside those constraints, their competence and choices are questionable…. there’s the “wandering elder” situation, where the eler might -want- physical self-determination to go out on their own and be capable physically of the mobility, but their judgment/mental functioning’s impaired such that they get lost and in the worst cases, die of exposure, unable to remember where they are, how to get to shelter, and sometimes even forget who they are. I think/suspect culture plays a large role in determining how/when/if people accede to ceding their independence to varying levels of caretaker situations. I’ve had relatives who should have gone to assisted care but refused, or in one case the adult children couldn’t face the prospective of putting an aged debilitated parent into a care facility–despite the parent’s VA facility care eligibility, which would obviate “the cost of a nursing home.”. Some patients have conditions that current medicine can achieve full or nearly full rehabilitation Others, don’t. 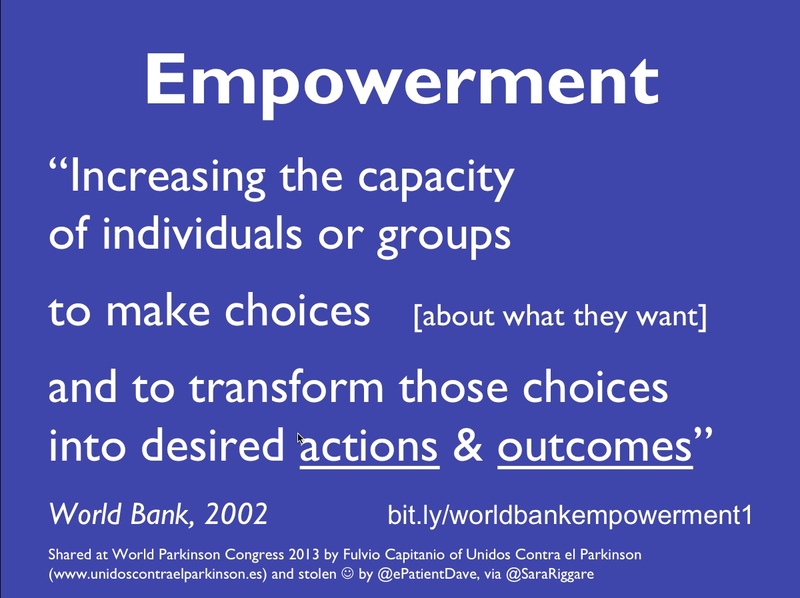 Patient empowerment, I would think, needs to take that into account–to allow/empower the patient to have self-determination over what’s practical to have self-determination in. The violent senile father, was a threat and menace living in his own house both to other people and to himself, and the condition was an incurable, progressive deterioration situation. ePatient Dave’s return to walking and climbing stairs and standing on his own giving talks for an hour, from motorized-wheelchair-bound frailty, is a case where patient decisions, patient empowerment, and modern technology, led to recovery of physical independence, and where the patient’s mental faculties remained acute and competent enough, for medical decision self-determination and making choices which led to the returned physical health. But, but, but–women did not “know nothing.” Abigail Adams exhorted her husband to “remember the women” urging that women not be denied voting and representation in government. Gluckel of Hameln was in business centuries ago. The works of Christine de Pisan, the most celebrated writer of her time, included The City of Women and Treasure of the City of Women. Elizabeth I, Eleanor of Aquitaine, Phillippa of Hainault, Hatshepsut, Cleopatra the last.. governed independently. The volumes of A Mediterranean Society by S. D. Goiten detail the businesses that women ran as sole proprietors a thousand years ago in Fustat (old Cairo). The “barefoot and pregnant” was status of -social meme and social relegation-, and there were societies in which they were emphatically a social fiction value–women owned craft businesses in medieval and Renaissance Europe, contrary to all the amblyopic (near-sighted, if I have the word wrong…) bad pseudo-medieval and pseudo-Renaissance fantasy writing out there. Read eg the work of Gies or Herlihy, which describe that widows inherited craft busiensses from their deceased husbands, the inheritors of the business being the widow and any children with the major share to the widow, and often an apprentice or journeyman would marry the widow, to ensure -employment-. The business did NOT belong to the new husband… the laws and rules for inheritance, which were generally male-first (or only male, for Salic law) primogeniture for nobles and royalty, were not necessarily the laws for commoners. The men wrote most of the official records and accounts and redacted accounts to leave out women in positions of power and control except for ones used as examples of earned bad consequences. That was especially the clerics and the lay brothers who were under rules of extreme official marginalization and dismissal of women from any position of power and influence to free males over the age of four or five and free females outside of very limited domestic concerns (generally fathers and husbands and adult sons had de facto jurisdiction over marriages, control of funds, etc, …. as regards businesses run by women (guess where there term “ale wife” came from.. yeah, women ran brewing businesses….) jurisdiction over that (unless the Church in the locality/region was playing monopoly games doing the beer making and distribution from monasteries, in which case, no women…) was outside the purview of what the male redactors wanted to acknowledge.. women left in were goodwives staying out of men’s concerns, martyrs who often were Sacred Virgins who conveniently died for their efforts (Joan of Arc, Saint Catherine) or Jezebels coming to bad ends. The deprecation of Mary Magdalene is a redaction example..
Forgotten Queens of Islam, and The Secret History of the Mongol Queens, are modern books whose authors sought out residual source material which had become marginalized over the centuries (along with Christine de Pisan being “rediscovered” generation after generation each generation, while her lesserly celebrated at the time male contemporary writers, did -not- get the marginalization treatment). The disempowerment of women was convenient social control by mansplainers, and their treatment of women as chattel, narcissism…. An informed decision cannot be made without objective information about success rates. knowledge about success rates requires having objective information about outcomes – something that never has and never can be gathered by people working in medicine. They are not objective. 20 years of metal on metal hip replacements putting toxic levels of cobalt into millions of patients without awareness of that helping patients make choices is what happens when we get all of our information from health care professionals. It is unacceptable that no independent third party outside of medicine monitoring patients existed to notice the blindness, dementia and heart failures occurring in patients who had gotten those hip replacements. Patients cannot be imagined to be empowered when they do not know success rates for the treatment, the treater, and the facility. It is not possible for the vested interests in medicine to produce objective information about that. How unfortunately true! I have following closely the issues associated with morcellation and the morcellating devices and I have learned that the FDA approval process for medical devices is very much unlike the process to approve drugs. It’s a system designed to help device manufacturers and other professional vested interests. One of the ways of ensuring that patients are empowered is to have them directly involved in systematic decision-making. In my province (BC), we have a group called ‘Patients as Partners’, which partners with different elements of the health system to create new approaches to health care. Where I actually live (Vancouver Island)m, Island Health Research is now including patients as designers of research projects — including ‘what needs to be researched(and doesn’t). I encourage everyone to approach their health system to create such a ‘Patients as Partners’ systme in their area. Of course, we can empower patients one by one — with enough information and openness on the part of medical staff treating them — but this is an ‘up-hill battle’ (systematically)unless patients are actually included the system’s decision-making process. Today I was reading a friend of the court legal brief on abortion that is before the Supreme Count and what makes it unique is that it isn’t advocates or attorney’s speaking on behalf of women who have had an abortion but 100 women who have had an abortion who also just happen to be attorneys (or who became one after they had an abortion). This is what many of us have been working for in health care for the past few decades – starting with women’s health, then AIDS, (there has been research on patient empowerment for people living with AIDS for 20 years http://www.ncbi.nlm.nih.gov/pubmed/14509862 and http://www.ncbi.nlm.nih.gov/pubmed/14509862 ) then for me health IT and the broader community. So I am always glad to see when another round of people take up the mantle of “patient empowerment” and encourage everyone to learn what has worked in the past and that there is in fact a “science” around it already. We just seem to do this once a generation and forgot that we already know how to build health care systems that meet people where they are and treat them as full partners in their care. What “there is in fact a ‘science’ around it already”? Where can we get our hands on it?? In other words, it takes time to get ideas adopted, and until then, we have to keep pushing and spreading the word. Then there’s the IOM’s paper establishing that it took 17 years for HALF of docs to adopt a new method after the papers were published, and then Gawande’s 2013 article about Slow Ideas. Something that consistent pretty much qualifies as a law of nature, eh? Our work as change agents is not just to prove that we’re right, it’s to keep pushing until the change has spread, and then keep pushing when they push back. Anyway, if there’s a scientific discipline already built up around patient engagement, please share it. Perhaps brainstorming to propose some recasting/revision/etc for the term “patient empowerment” might be in order. Or, invent some new terminology and expanding the concepts the terminology describes, to promote the ideas and implementation and grab public attention and imagination, for patient empowerment, involvement, and attention to the organic needs and environmental constraints and other considerations of patients. Modern US medicine, healthcare, and payment/reimbursement/affordability memes, and patient action expectations, seems to take or concern themselves very little with the realities of patient constraints and realizable feasiblity. That is, there’s the example of the patient can’t afford the prescribed medication from a reliable * supplier, and either winds up with fake medication, skimps on the medication–cutting pills in half, skipping days, etc.–or goes without it. There are the cases where the patient continues going to work because of economic disaster looming otherwise, and exposes the general public to whatever they’re infectious with–in addition to avoiding getting any diagnosis, due to lack of funds and/or time. There are the cases, particularly pertinent in Africa, but not irrelevant elsewhere, that the medications may require storage conditions (particular temperature and humidity renges) which the patient’s habitation may not meet. There may be requirement for physical therapy etc. which the patient can’t get to, due to lack of realizable transportation–any or all of the distance, the scheduling, the expense, need for oxygen/high capacity Depends/mobility devices space/gurney/etc, and expense, may be prohibitive. There’s the continuing issue of insurance company mandates kicking people out of hospitals and rehab on their schedules for what they will pay for /reimbursement… F. M. Busby was one of the victims that was fatal for. As regards studies and such, I’ve not been impressed with most of what I’ve read about how medical studies tend to be done–the numbers of subjects often is small, the variables poorly controlled, the conditions perhaps subjective, the sample size in addition to being small, does not necessarily distinguish or even consider much less identify or address population differences… heroin was originally thought to be a remedy of opiate addiction, the population the subjects came from, were not highly susceptible to opiate addiction. (I spent a year in Greenland. My liver handily survived the heavy drinking. Other people had genetics which were less alcohol resistant–one unfortunate who was medevac’ed out with Mystery Debilitating Ailment, turned out to be suffering from alcoholism… he was NOT drinking more booze than his associates, he had the bad luck to be much more susceptible. At least one fellow checked himself into detox when his year in Thule was over. *[ha, ha… listening to Big Pharma’s BS about sourcing when so much medication involved production which if not entirely outside the USA, sources materials going into the medications, from China or other sources where the quality and quantity and long-term stability of prices and quality, can become quite questionable… a few year ago the ONLY source for one of the most basic and tried and true vaccines (used to be DPT but one of them got removed, I forget which) was, believe it or not, the Commonwealth of Massachusetts, which became a drug manufacturer for especially “orphan drugs” which Big Pharma regarded as insufficiently high profit for continuing to produce… as opposed to lifestyle drugs to perk up penises and such….even when the consequences literally can be blindness or death…. Anyway, there were one or two commercial companies which had been producing the vaccines in Europe for US customer, in old tech production facilities, and -both- of them had production catastrophes. That left the only producer with working, clean, usable process producing the vaccine for the US market, being the Commonwealth of Massachusetts. Hmm, that particular emergency seems to have gotten forgotten, even though it happened not all that many years ago. Dave, I see that you still miss part of my point. Patients nowadays do not exist only in the world of professional health care. As Tom so brilliantly showed with his inverted pyramid most of the care is done OUTSIDE of the realm of professional health care. So, there, the innovation is moving much, much, faster and at this point many of the point we have advocated 20 years ago have become the new normal. The disconnect is growing because the world of patients (those who are really in need of innovation and quality of care improvement) embraces what’s beneficial to them, which is often not of benefit or at least not of obvious benefits to professionals. I expect this is a situation that will keep evolving. And patients will be ready for the next reform of the HC system, by the time it becomes totally unsustainable. In many ways most patients couldn’t care less about health care reform, Meaningless Use and all of this stuff. They will keep on finding and defining what’s important to them, in the real world where they get most of their care. And they’ll keep on bending whenever they have to deal directly with the inflexible health care system. Ah! Yes, absolutely, in self-care the whole issue is completely different! I didn’t hear your original comment that way. Funny, when I’m not talking to a clinician I don’t even think of myself in a “patient role.” I’m just coping with things. (And there’s no oppression, either, as in Sarah Greene’s e-patients.net post about Pedagogy of the Oppressed.) But when the people I run into talk about patient empowerment – all the people out there in the industry and in the policy world – they’re explicitly thinking about the “care” delivery system. 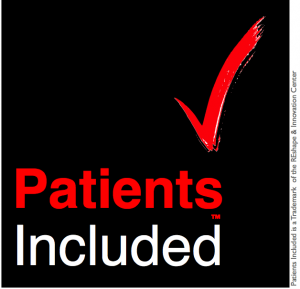 That’s who this post was talking to … no patient in isolation needs to get empowered by anyone else. OTOH, if my access to information is at all hampered by government policy or hospital policy, it does decrease my ability to take effective action, yes? So in that sense what I’m talking about is a valid thing to argue for, yes? BTW, I think that the data we all want to have access to is used very little, even by HC professionals. EPIC remains a billing system before anything else. When you start with the wrong tool, you can’t really fix it. EPIC will be forever the great tool to foster Meaningless Use. It’s an interesting question, how useful the data in the EMR is. Everyone who’s studied the subject knows that most EMRs (most conspicuously Epic but not just them) is a billing system that’s being modified to handle actual clinical information. When you look at it this way, Eric Topol’s The Patient Will See YOU Now is spot-on in its vision of that part of the future of health. For that reason, at Regina Holliday’s Cinderblocks 2 meetup last June I proposed that perhaps we’re heading toward a world where patient and providers have two completely separate information ecosystems, in which the supposed healthcare system has no clue what’s going on in our lives. One major difference is that, delightfully, OUR ecosystem will continuously optimize around what’s useful to US. And, for the most part, theirs doesn’t have much pulling them in that direction – OUR direction. One thing I know for certain: it’s incumbent on us to do as much as we can to coordinate the information between docs & computers, because they generally have little ability nor bandwidth nor technology to do so. And as the WSJ reported 19 months ago, almost all patient records contain mistakes … and I know of no initiative at ANY hospital to find and fix those mistakes, except to let us try to find them … which is better than nothing. But jeeze. Yes, I know, requirements vary depending on factors which include the interests/needs of the accesser. However, the factors ALSO include bone-headed tunnel vision and ignoring/dismissing the interests and needs of -other- data users besides oneself. In the abstract database/datastore/data crunching/data retrievela, etc. systems, do not CARE that different data users have different interests… what matters is flexible design, -tracking– ability including change tracking, data security, flexibility for retrieval and assembying and analyzing (but the analysis -can- be “postprocessing” — I very much regret the disappearing of the concepts of preprocessing and postprocessing of information, as opposed to Giant System trying to do EVERYTHING at the same time…. Facebutt has a piece of an idea with its concepts of “datastore” rather than “database.” — the datastore explicitly involved “latency” –the concept that data addition, deletion, revision, etc., not only take time, but that propagating the information around that there have been changes, ALSO takes time… and that not every attempt at data retrieval, is going to result in the same result, tht there are time-dependencies. Noting for future follow-up: I just discovered this apparently excellent Working Definition of Empowerment, posted in 2013. Written by a former patient! And right under my nose, in Lawrence, Massachusetts! Thanks, Kathi – coming from you that’s great praise! I know you spend your life living in this kind of work, so thanks!